I looked around and didn't seem to find a thread like this anywhere else on the site. 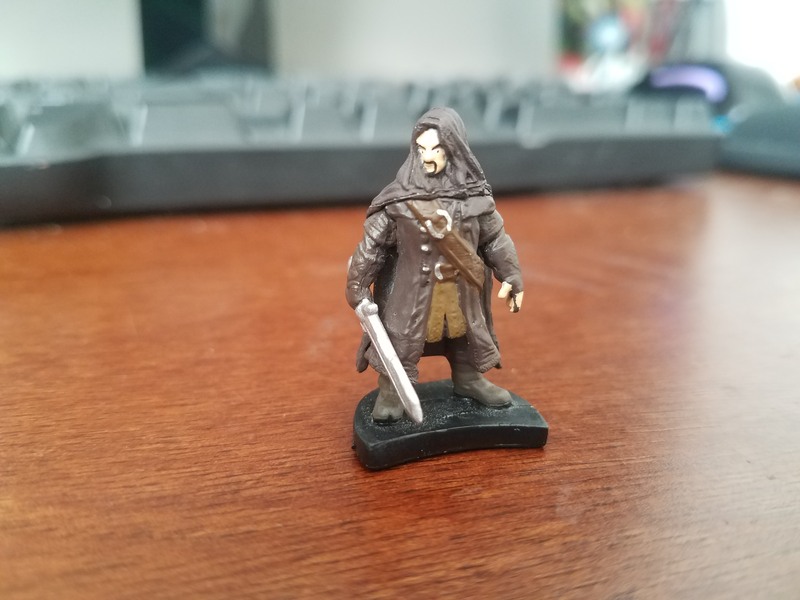 This thread is a place to post images of miniatures that you don't know the name of and anyone who recognizes the figure can help out. Sorry if a thread like this already exists somewhere else, I didn't find one. Re: "What miniature is this?" Hi guys! Figured I would ask this here, the other day my friend gave me this fig that was sitting in the bottom of a shoebox from his move. He looks like a Heroclix or maybe Mage Knight fig that got separated from his dial, but can't seem to find out what figure he is. I'd appreciate if someone knew it by any chance! The crescent shaped piece he's attached to definitely looks like the same piece that a lot of Heroclix figures are standing on. I don't recognize him though but maybe the Heroclix comment narrows the search for someone. Kili the Dwarf from the first Hobbit Clix set. Thanks a bunch! Those were really fast replies! I found this at a garage sale a while back and have had no luck finding what this is. If anyone can tell me what this creature is from, I'd very much appreciate it. @Zetsubo I don't suppose it has any kind of serial or manufacturing stuff printed on it? Seems like toys like that usually do. That looks more like a toy than a miniature. You might want to check the bottoms of his feet and belly for copyright info, that could give you a lead to follow. Honestly, that looks like it's just a generic dollar store dinosaur though, so you might not find much. The only marking on it is the number 8. It feels a bit higher quality plastic to be generic dollar store. Well I thought it was worth a shot to ask. 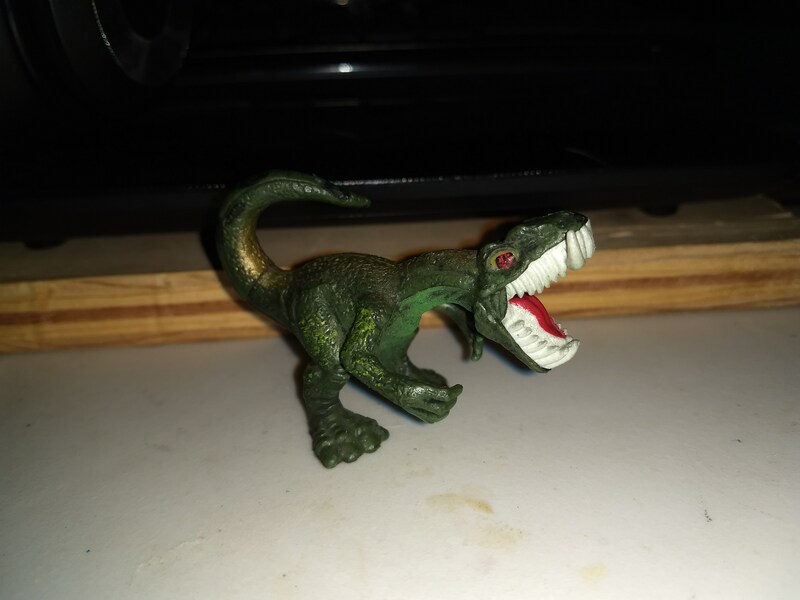 If I had to hazard a guess, I'd try Jurrasic Park McDonald's Happy Meal Toys and see if Google finds anything. Hey guys, I have another few for you. Found these guys at a yard sale for a quarter each. 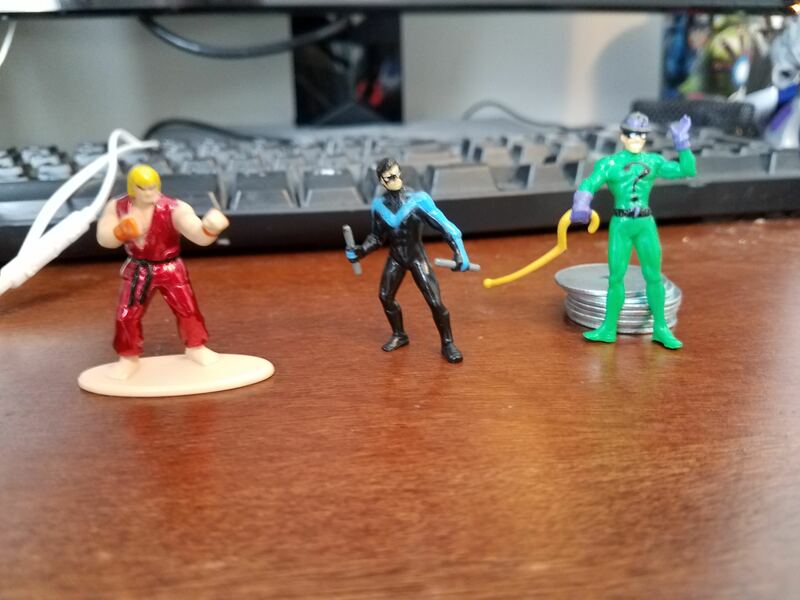 That Ken on the left is made completely of some metal, and Nightwing and Riddler in the right both are made of some really soft, bendy kind of plastic, they also look like they might have had a base but it got sloppily chopped off, I'm just wondering what line or lines of figures these guys are from if anyone knows. Cheers! Ken is a Metal Nanofig from Jada. They have a bunch of different brands of figures and they normally sell for a buck each. Nightwing looks like a 'Clix, and Riddler might be from a kid's playset, but I'm not sure about either of them.